Gremlins Online Exclusive! 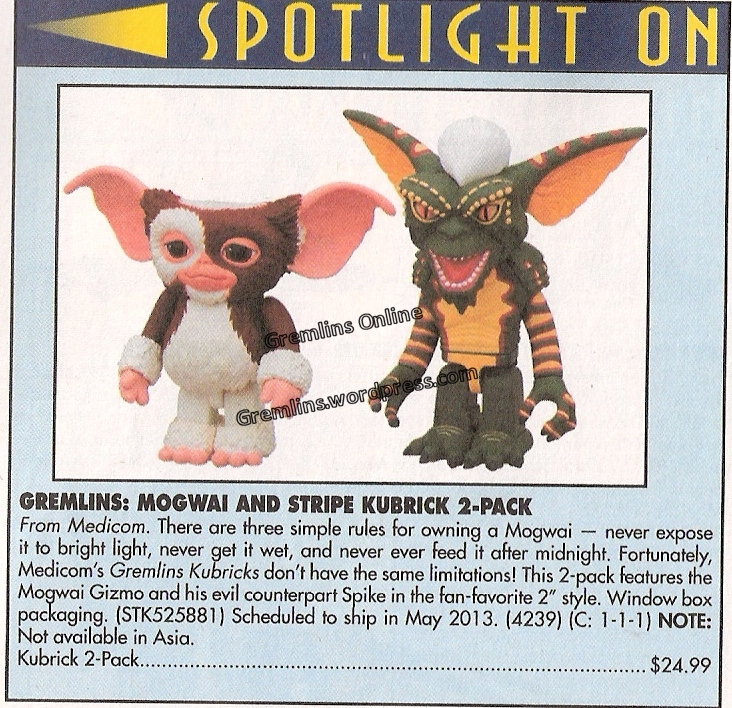 Upcoming Gremlins Figurines by Medicom and Be@rBrick | Gremlins Online! 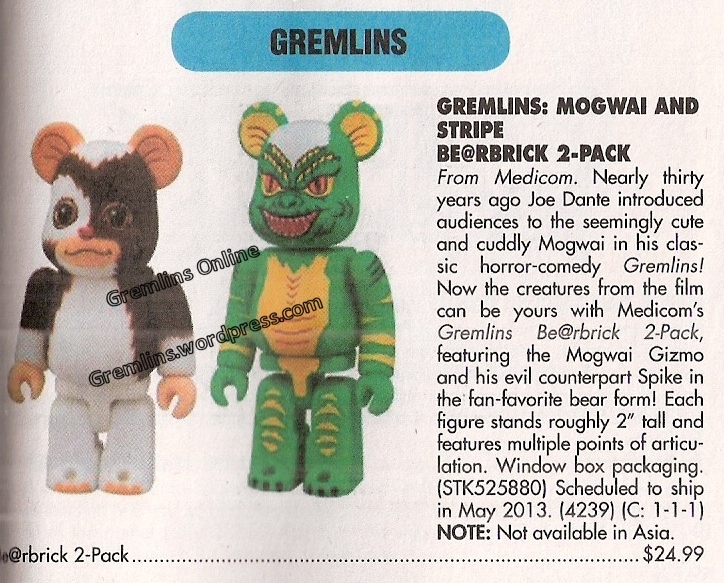 In the newest issue of Previews, which just hit your local comic/hobby shop today, they have solicitations for not one but TWO new Gremlins 2-packs are being released in May of this year! First up is a 2-Pack by Be@rBrick of Gizmo & Stripe. “Spike” mistake in the description not withstanding, this is extremely exciting. Be@rbrick is known for highly collectible miniature figurines, and these will be sought after by both Gremlins Collectors and Be@rbrick collectors alike. Next are these awesome new Kubrick figurines by Medicom…after the break…. This is a more realistic, less stylized pair of 2″ figurines by Medicom. Personally I will be picking up at least a set of each once they arrive in May. So how do you, the loyal Gremlins Collector, get your three-pronged claws on these awesome figures? Some stores will ask for a down payment on these to ensure they aren’t wasting money ordering these figures, but the more that request them, the more stores see that Gremlins is a money-making license! Questions or comments? I’ll be glad to help, just post below!